National Family Benefit Scheme or NBFS was launched by the Uttar Pradesh state government to provide financial assistance to those families that are unable to earn the necessities in life. The NFBS also known as Rashtriya Parivarik Labh Yojana was started by the UP government on in January 2016. Under this scheme the families who have lost their lead earners will get a lump sum amount of money as compensation. To claim the compensation one must have applied to register under the scheme. The entire application process is available only online. There is no provision of offline application for the scheme. The NFBS scheme is for the below the poverty line families. If the lead earner of the family has lost his/ her life, the next head of the family will get the financial assistance from the state government of Uttar Pradesh. The applicant should be aged between 18 years to 60 years. If the applicant is below 18 i.e. minor or above 60 that is old, then the applicant might not get the compensation amount. The amount of the compensation is fixed at Rs. 30, 000/- which has increased from the earlier amount of compensation that is Rs. 20, 000/-. To apply for the scheme one must use online process. The scheme does not have any offline mode of registration. To avail the scheme the yearly income of the family should not be more than Rs. 56, 450/- in urban areas and Rs. 46, 080/- in rural areas. The amount of compensation will be provided to the families only after the death of the lead earner or the only earning member of the family. To apply for the scheme one must be living under the poverty line. Also the applicant should not be aged less than 18 years or above 60 years. The family income of the applicant should not be more than Rs. 56, 450/- if the family is from urban area and Rs. 46, 080/- if the family is from rural area. Finally the support will be provided to the family after death of the only earner of the family. 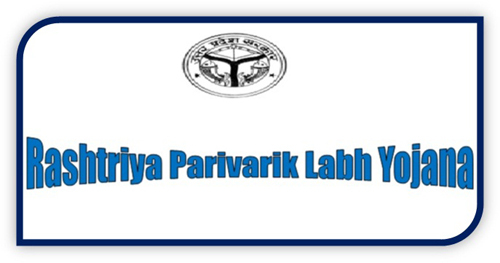 Under the Rashtriya Parivarik Labh Yojana the government will pay Rs. 30, 000/- per family as a compensation. The amount of the compensation was Rs. 20, 000/- earlier. After 2013, the amount was revised and become Rs. 30, 000/-. Under this scheme anyone who is eligible to become the head of the family after the death of the earner can apply for the scheme and claim the mentioned amount as compensation from the government. The amount will be disbursed in single instalment and will be credited to the beneficiary’s bank account. The money will be transferred within 45 days of the application. The application form is available in the official website of the SWD social welfare department. The application form must be filled up by the applicant and needs to take out a print out of the system generated receipt and application form. The form should be submitted within 3 days of filling it up in Zilla samaj kalian adhikari office by the applicant. If all the details, documents and print outs are verified correctly, after 45 days of the submission of the form the amount will be disbursed to the applicant. Age proof / age certificate of the head of the family. One can produce family registration certificate. All these documents should be presented at the time of submitting the hard copy of the application form in the district office by the applicants. Also all these documents must be self attested by the applicant. The official website of the SWD for the UP state is http://nfbs.upsdc.gov.in/ . The applicant can get all the details in this website. After registering under the scheme, if anyone wants to check whether the name is enrolled can see here http://nfbs.upsdc.gov.in/Search_Pensioner_nfbs_new.aspx. As per the information offered by the government, all candidates who are interested in applying for the scheme will have to do it online. For online registration, one has to clicking on the http://nfbs.upsdc.gov.in/RegistrationForm.aspx It will allow them to log on to the official application page of Social Welfare Department of UP. Then comes the personal identification section. Here, the applicant needs to type in name, address, gender, name of his/her father or husband, ID card type and number, ID card with photograph, mobile number, and landline number. The applicant must get his/her annual income certificate, issued from the local Tehsil office. He/she must type in the income certificate application number as well. Once the personal section is complete, the applicant needs to turn his/her attention towards bank details section. Here, the applicant must highlight the bank name, account number, IFSC code, bank code and related details. There is also an option of attaching and uploading a scanned copy of bank passbook. Then comes the section that will contain the details of the person who has passed away. Applicants must type in the name of the individual who has died and select the cause of death from the drop down list. He/she must also mention the date of death, death certificate number, and age certificate of the individual who passed away. In this section, the applicant must attach and upload scanned copies of the dead person’s age certificate, death certificate, link between the applicant with the dead person, and the applicant’s signature. Once all details and documents have been uploaded, it is time to type in the verification code. Make sure that these credentials are correct. Once it has been rechecked, it is time to submit the online application form. As soon as the online document is registered, the site will generate a separate code. It is the application registration number. It is mandatory that the applicant notes it down. It will come in handy during status checking and final approval process. The state government may take some time to sort the application forms, make the final selections and then send the money in the bank account of the person. In case the applicant has been waiting for more than two months, then it is time to check the status of the application. Clicking on the link http://nfbs.upsdc.gov.in/Search_Pensioner_nfbs_new.aspx will give you direct access to the official page of the scheme. The page is particularly for checking the application status. As soon as the page opens, you must select the respective district, where you stay, by clicking on the drop down arrow the “District” option. Then you can either type in the Bank account number or the application registration number. When you have typed in these two details, all you need to do is click on the search option. It will generate a search in the government database, and highlight the status of your application. If the status application shows “pending” or “in process” then you can be rest assured that the money will be transferred to your savings bank account respectively. Once the funds are transferred, you will get a notification accordingly.